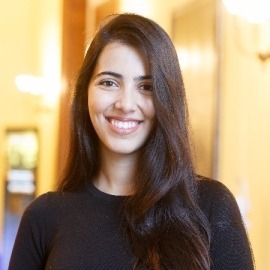 Anna Khan is an investor at Bessemer Venture Partners, the oldest fund in the US with over $1.6 billion in capital and more than $4 billion under management. Anna is part of the firm’s cloud practice, where she sourced a number of deals including Intercom, NewVoiceMedia, and DoubleDutch. She is also involved with cloud companies SendGrid, Clearslide and Adaptive Insights. In 2016, Anna received her MBA from the Harvard Business School with Distinction (Top 10% of Class) and was an Arthur Rock Fellow. While at HBS, she founded Launch X, the first incubator of its kind that offers female entrepreneurs an immersive opportunity to learn how to raise capital for their businesses. In 2015, Launch X graduated two cohorts in San Francisco and New York City and is currently expanding to new cities. Empowering women entrepreneurs and fixing the gender diversity problem in tech has long been one of Anna's main passions. While at Stanford, she was President of Stanford Women in Business, the largest undergraduate women's organization on campus. Anna graduated with Honors from Stanford with degrees in English Literature, Political Science, and Science, Technology, and Society. Before venture, Anna worked in the worlds of both tech and finance as the Chief of Staff to the CEO of 4INFO, a mobile advertising platform that raised over $50MM in funding, and as an investment manager at Goldman Sachs and Morgan Stanley. Anna is a World Economic Forum Global Shaper and serves on the Social Investment Council at Echoing Green.